For London Clock Company, the emphasis has always been on design, quality and craftsmanship; with the founders themselves involved in concept, production and assembly, ensuring everything matched their exacting standards. With 90 years of British history, these UK designed products emcompass every fashion and trend, and maintain the company heritage whilst remaining to be an outstanding timepiece for today's world. The London Clock Company is everything British. Concept, design and quality. Since 1922, three generations of family have grown the business from its humble beginnings to the unmistakable UK designed brand that it is today. From the very beginning, the emphasis has always been on design, quality and craftsmanship; with the founders themselves involved in concept, production and assembly, ensuring everything matched their exacting standards. This tradition is instilled today with family members heading the company and involved in all aspects of the business. Working from a converted cinema in our capital city of London, the brand soon evolved from being distributed nationally around Great Britain by major store groups and independents, to outlets across Europe, Asia and the USA. 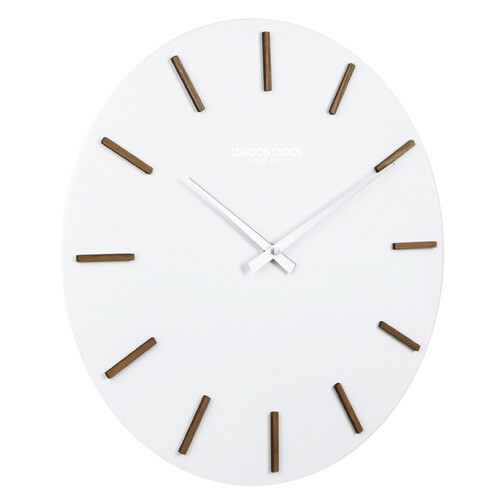 The ‘London Clock Co.’ brand can be seen worldwide at exhibitions and displayed in prestigious retailers around the globe. Today, the company resides in the ‘Garden of England’, the county of Kent. Here all facets of the business are brought together under one roof, giving strength and focus to the ‘London Clock Co.’ brand. 90 years of British company history, encompassing every fashion and trend along the way, has given our teams a wealth of information and ideas from which they can take inspiration. Our creative UK design team take care to preserve and maintain the company heritage alongside designing outstanding timepieces for today’s world. The tantalizing mix of a British company steeped in history, with a young and vibrant team full of ideas to push the boundaries, will inspire more wonderful timepieces with the brand name. 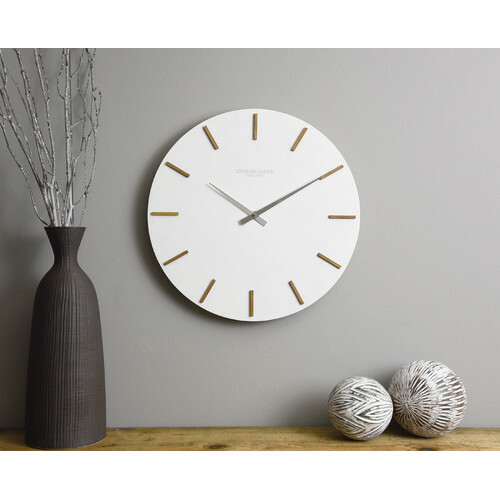 The Hvit Wall Clock is a Scandinavian style product. Scandinavian style is exemplified by clean-lines, simple, and functional. Scandinavian interiors feature bright white on floors, fabrics, and walls. While, unpainted, light wood furniture that embraces the natural grain adds much-needed warmth to spaces. Sleek, utilitarian furniture without much embellishment is a mainstay in this minimalist style with a modern flair. 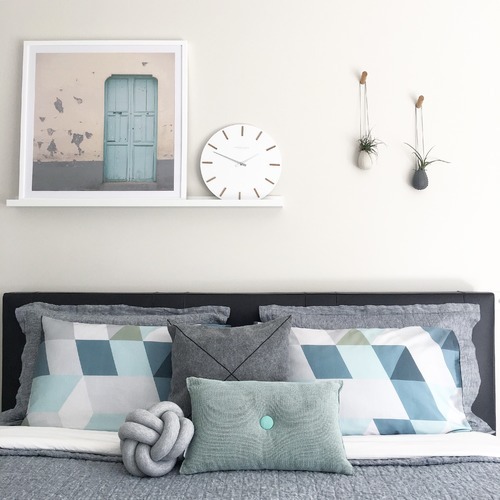 You can shop for more Scandinavian Clocks in the Décor section of our site. 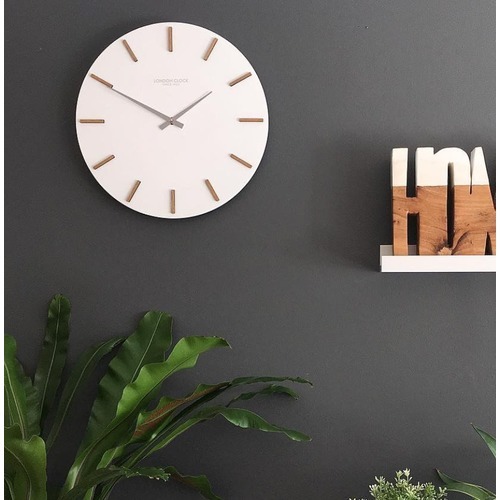 When you buy a Hvit Wall Clock online from Temple & Webster in Australia, we make it as easy as possible for you to find out when your product will be delivered to your home in Melbourne, Sydney or any major city. You can check on a delivery estimate for the London Clock Company Part #: 1115 here. If you have any questions about your purchase or any other Clocks product for sale our customer service representatives are available to help.Whether you just want to buy a Hvit Wall Clock or shop for your entire home, Temple & Webster has a zillion things home.